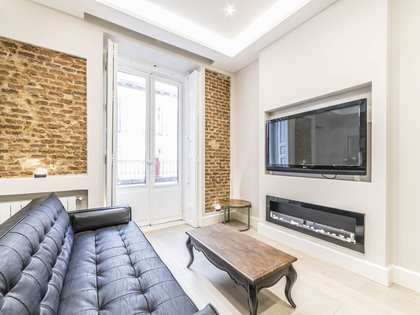 Located in the trendy Chamberí neighbourhood, a short walk from fashionable restaurants and Gran Via, Madrid's largest shopping street, we find this wonderful 2-bedroom penthouse for sale in a new development. 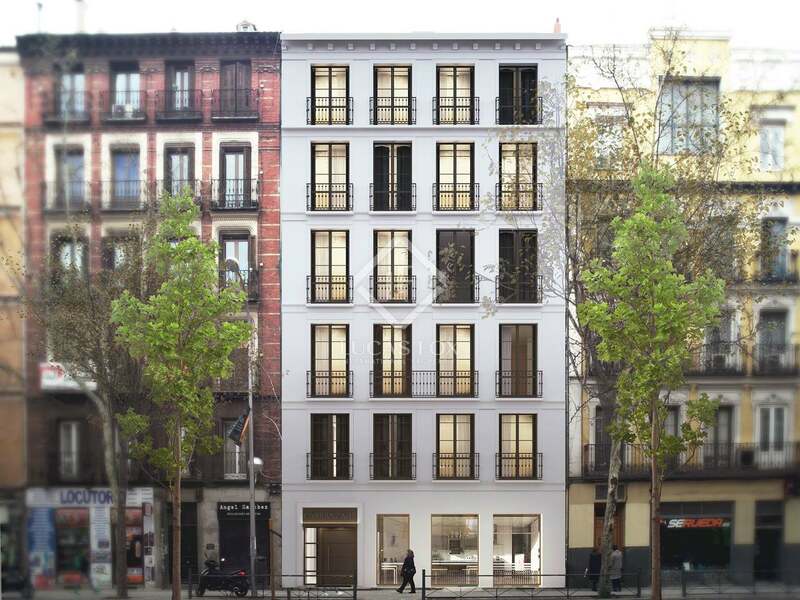 This stunning new development designed by Molior architects, boasts 11 modern apartments at the heart of Madrid, in a period building with a wonderful early twentieth century façade. 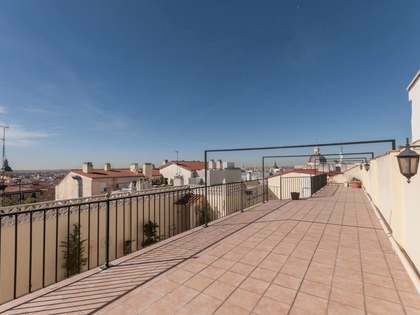 This penthouse property has a built area of 157 m² and a usable area of 131 m² plus the 52 m² terrace. 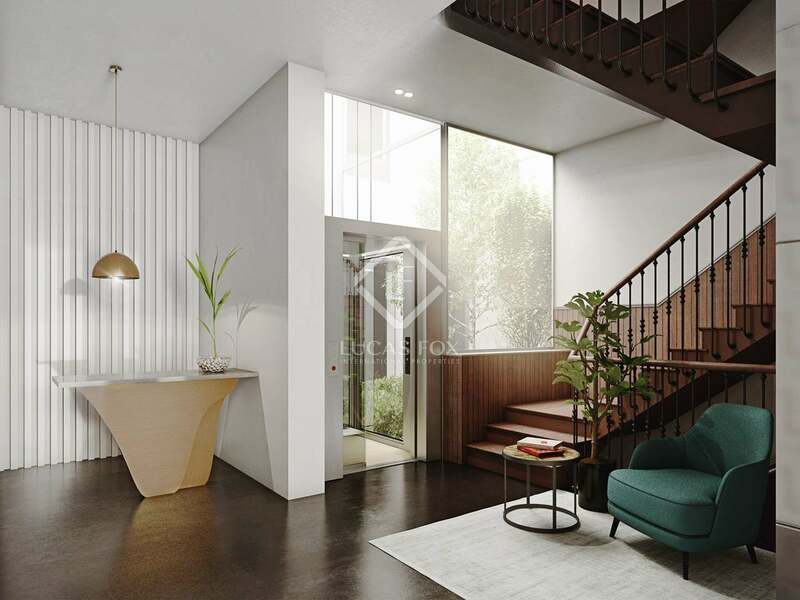 It has been completed to an excellent standard with 2 balconies overlooking the tree-lined street from the living room – dining room. 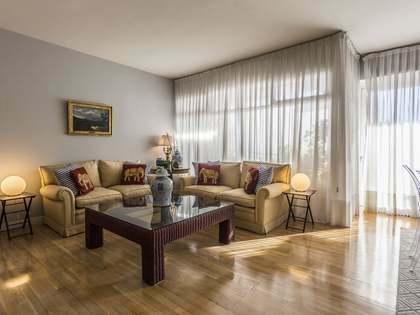 This living area also offers a guest toilet, a modern kitchen with a pantry and utility room. 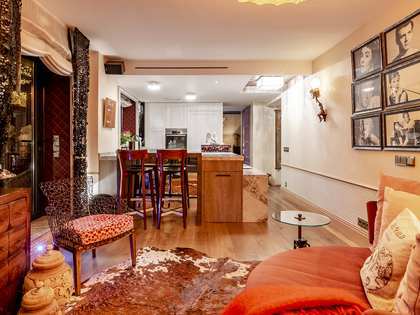 The sleeping area consists of 2 double bedrooms with ensuite bathrooms, one on which has a dressing room. 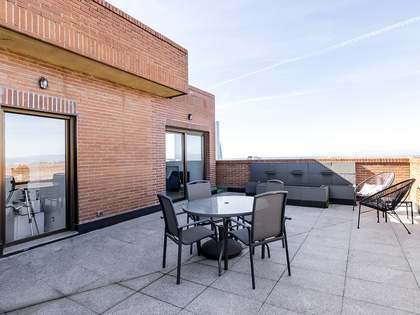 On the upper floor we find a spectacular private rooftop terrace of more than 50 m², with incredible city views. 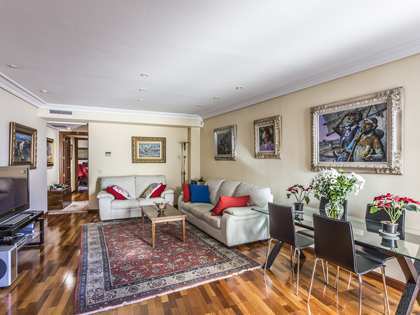 As well as making an enviable private residence, this property would be ideal for investors due to its modern design and fantastic location at the heart of Madrid.